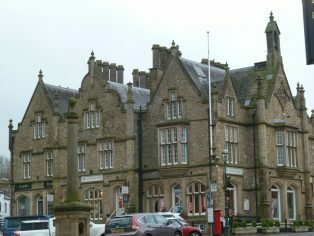 Settle Town Council possess two books concerning the subscription of shares for building the Town Hall in 1832 (now in the keeping of North Yorkshire County Record Office) and also photographs of some of the market charter documents held in The National Archives. (copyright TNA). Images of the books and a short article on the Settle market fair and charters are available on this site.